In growing economies and changing corporate dynamics, regulatory authorities need to introduce rules and laws that are in the larger interests of the business community. Perhaps no one would deny the fact that a rule of law embodies a just society. And, when people follow a code, they are successful in handling important business affairs which leads them to achieve a notable growth in the business sector. One thing is very clear, businesses would go to any extent to cut their taxes and expenses. One way to do that is by keeping an eye on changing policies and procedures set forth by the local or federal authorities. As far as the rights of employees are concerned, certain jobs acts provide them with a sense of security that keeps them going in the competitive corporate sector. By following a certain code and abiding by changes in the laws regarding the Tax Cuts and Jobs Act, companies can breathe a sigh of relief because certain changes in tax cuts and jobs act provide publicly traded companies, employees, and stakeholders a sense of security. All stakeholders need to have a clear picture of the rules regarding the Tax Cuts and Jobs Act in order to ensure smooth business operations and accounting compliance. Investors and other stakeholders contemplated whether or not investment companies or publicly traded companies can rely on the guidance issued when dealing and calculating Net Asset Values (NAV). The division of investment management (DIM) gave a go call to all registrants that they can rely on SAB no.118 for figuring out NAV and reporting measurement period adjustments for a brief period of time. Moreover, SAB no. 118 also stated that relevant information must also be disclosed to the investors, venture capitalists or stakeholders to know about the material impacts of the Act to material provisions and the calculation of Net Asset values (NAV) for which the accounting is incomplete. This indicates that the disclosure of the impacts must be publicly communicated to the registrants and investors through websites, press releases, or anywhere suitable in a reasonable manner. The Tax Cuts and Jobs Act is expected to witness a significant impact on public corporation’s local and international tax consequences. With the introduction of SAB no. 118, the changes are predominantly the most significant overhaul of America’s federal tax code since 1986. Industry veterans believe that the changes might give a rise to certain operational changes since the magnitude of changes in the Act is huge. They also believe that it may give a rise to constraints for entities when fulfilling requirements as stated in the Act. Moreover, industry veterans believe that it may take a little while for investors, bookkeeping experts, auditors, and all stakeholders involved to comprehend and comply with the new guidance as the changes have long remained the same since 1986. Dealing with new compliances may take a while but they shall definitely be understood by stakeholders involved in the process. 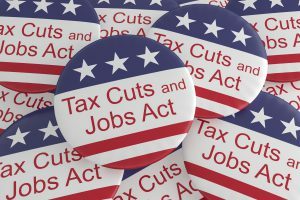 Although, it is true that the changes in the Tax Cuts and Jobs Act have surprised registrants since they were mostly of an opinion that they may never change. For larger interests of the stakeholders, the Tax Cuts and Job Acts are expected to keep public corporations on track. By following a certain code and abiding by changes in the laws, companies can expect to put themselves on the path to glory.